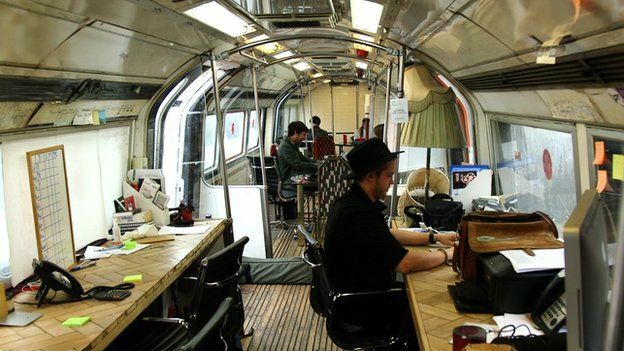 Can a quirky office make you a better worker? Whether it's the constant babble of voices in your open plan office, the strip-lighting, or the claustrophobia of the battery-cage desk formations. For a lot of us the workplace is really just not a great place to work. Technology companies have famously tried to buck this trend, furnishing their employees with all the free food, pool tables and 'music jam' rooms they could possibly want. But if you're not one of those lucky ones (or have had enough of primary colours and bean bags) you might consider something a little more quirky. 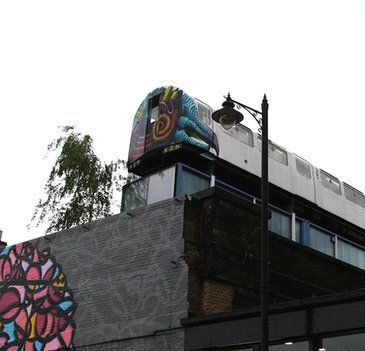 Perched high above a warehouse in Shoreditch, London, on a disused underground train, Editorial Director Dan Davies at art collective Village Underground, finds he gets his work done despite some challenges. "You don't feel trapped as you would in an office" he says, dismissing traditional workplaces as "air-conditioned veal-fattening booths". 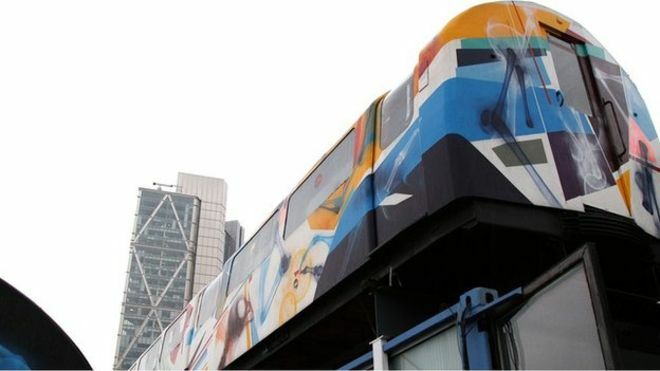 His office is one of a series of refurbished carriages salvaged from a wreckage yard. They were gutted of their mechanical parts, then hoisted on to the Victorian building by cranes, before a grand opening in 2007. It was part of a project to make affordable working spaces for artists. The employees may not feel trapped, but they do sometimes feel cold. "If we have all the heaters on, it eventually gets warm by four in the afternoon," says colleague Ava Szajna-Hopgood. "You have to dress to go into the office, not for the journey, but for when you get there." The carriage has no insulation and noise from nearby building works is another problem. You can always stick your headphones on, advises Mr Davies. Despite these practical issues, both are quick to defend their unusual workspace. "It's a treat, you're not going to get bored sat in a tube train," says Ms Szanjna-Hopgood, "I make an effort to appreciate it." "There's no big management in place, no hierarchy, and I think the space has affected that," says Mr Davies. "We feel like we are part of London and we don't feel constrained or restricted."